CCTV is a highly effective deterrent to intruders and will provide reassurance that your business is protected around the clock. CCTV is not just for catching unwanted intruders or shoplifters, it can be used to monitor staff, working procedures, pupils and customers, for safety reasons or even discreet spy cameras in situations where you don’t want people to know they are being monitored. CCTV can cover the interior and exterior of almost any type of building, with a wide range of the latest HD IP and TVI systems available giving crystal clear images better than ever before. Here at Firsteye we have the expertise to install a wide range of CCTV systems, with options available to suit all types of business premises from shops to offices, schools to commercial premises, and large industrial and warehouse sites. It’s important to choose the correct type of camera for each installation as specifications vary greatly. We select cameras and lenses that offer the best picture quality for your particular environment, whilst ensuring this is achieved in line with your budget to give you the best possible picture for your money. All our CCTV systems are installed by our own qualified and experienced engineers, are designed to be compliant with British Standards BS-EN-62676 for Video Surveillance Systems, BS EN 50132-1, BS EN 50132-7, and comply with the SSAIB CCTV Code of Practice. We will also advise you on compliance with the Data Protection Act 1998 where relevant to the way your system records and stores images. The option of remote monitoring via an external monitoring station is available, or you can choose to receive email or text alerts when a PIR motion sensor or break beam is triggered within a specific drawn area or the full range of your CCTV cameras. The free smartphone apps used to control our CCTV systems can be easily installed and removed on any employee’s smartphone, tablet or PC, allowing you to choose trusted and key members of staff to view your business premises on CCTV. 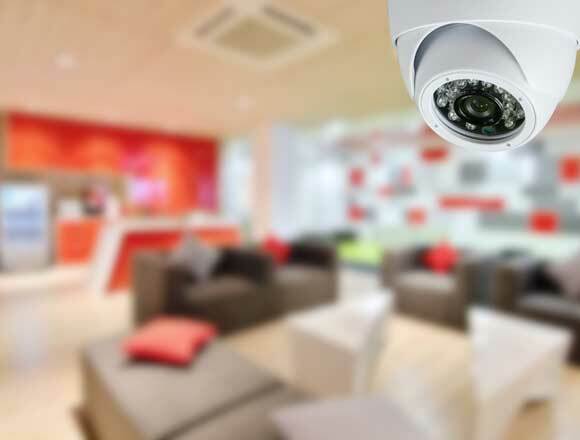 Many businesses are now coming back to us to upgrade their existing analogue CCTV cameras to take advantage of the capabilities of the latest HD TVI and IP cameras. This can often be done using your existing cabling, and Firsteye can offer you a tailored solution whether you want to change one camera or upgrade your whole system. To see how upgrading could work for you, view the before and after videos below and contact us and open your eyes to a world of clearer, sharper images. Why not spread the cost of your purchase over time and avoid the initial capital outlay? Firsteye Installations have a variety of funding solutions that can be specifically tailored to meet your individual circumstances. Competitive interest rates and flexible terms can be provided upon request. Finance is subject to some basic credit checks and rates may vary depending on company status. Finance only available to businesses that can show a minimum of two years’ trading accounts. To find out more about the finance options available, please get in touch via the Contact Us page.